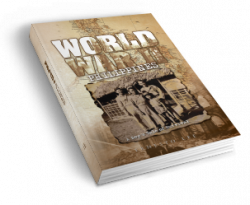 This book is largely a tale of survival from the viewpoint of a ten-year-old boy – the author – during World War II in the Philippines. It relates the painful ordeal and suffering of his family in their struggle for survival against hunger and disease; the atrocities and brutalities inflicted against the Filipinos; and how they managed to rise from the ashes of financial defeat to dramatic recovery. From then on, the author recalls his post-war experiences, such as an acquaintance with a benevolent GI during liberation; the author’s faith in the power of prayer and God; and his gratitude for being given the rare privilege and opportunity, as a successful surgeon and medical practitioner in the Philippines and the United States, to help alleviate suffering, correct deformities, and make a difference in the lives of his poor patients. Witness a segment of history through the eyes of a ten-year-old boy who has seen it all.